It’s hot, it’s steamy, it’s colourful and it is in extremes. No middle-paths here. Both Thailand and Thai food! And Bangkok is an exemplary sampling of what Thai food is. In big restaurants and small road-side eateries, the exotic Thai flavours carry through. 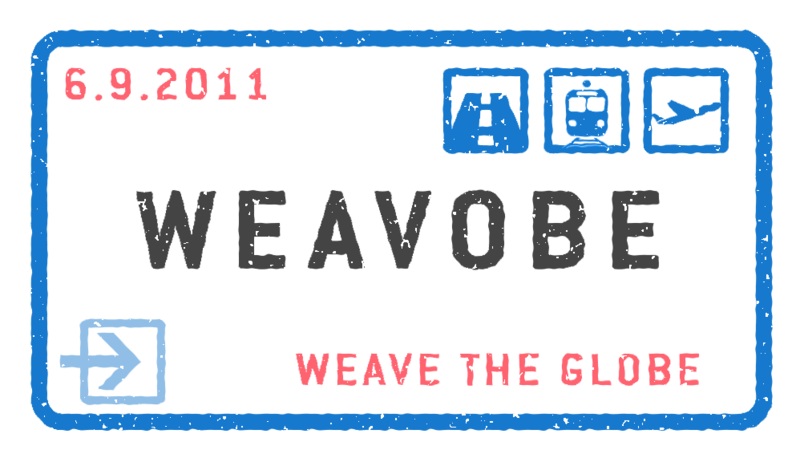 We used Bangkok as a two-day stayover before we embarked upon our Siem Reap adventures. I wasn’t expecting a lot, being just a city that it is. But I was to be proven wrong, and I couldn’t be happier about it. 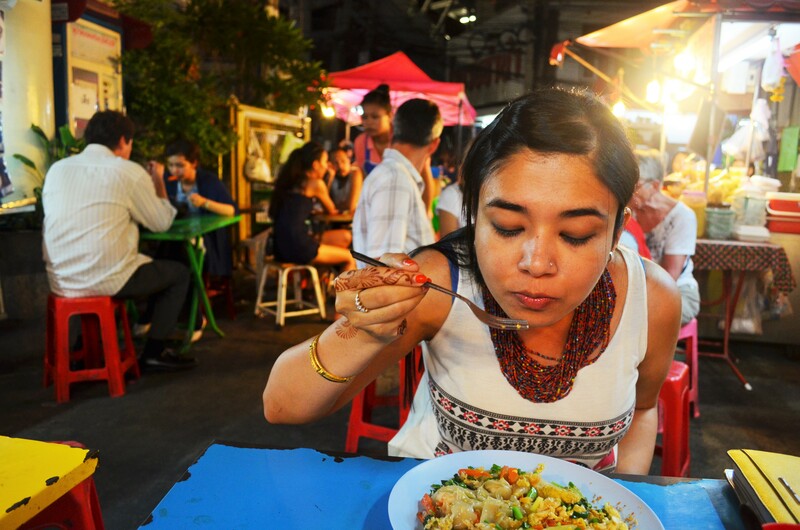 The culinary experiences that Bangkok provided us with, were both authentic and still ballsy. Tha Chang Pier Market – Sweaty, smelly (the good kind) and incredibly busy, that were my first impressions of this market. The market sold it all; amulets, clothes, wares and other knick knacks. But most of all, it displayed an exhaustingly delightful array of tropical fruits. It was a beautiful kaleidoscope of colours created by the matted reds of the Rambutans, shiny yellows from Mangoes, exotic pinks and whites from the Dragon fruit and many other fruits we did not even know. It is a wonderful experience, gorging on such fresh tropical fruits in the midst of this bustling, enchanted market! Tha Chang Market was jam packed with tropical fruits. We gorged on some Rambutans while there! Soi 38 Night Market – Bangkok is pretty much synonymous with night markets, and rightly so. Streets come alive with the smells of kaffir lime, lemongrass and coconuts. A wok of this, a pan of that, a stir to the prawns and a flip to the eggplant; You see red faces and wagging tongues, some people even look like they are on the verge of a stroke, but then they dip back into their bowl of the spicy red curry. That’s Thai food for you! Bold, yet delicious! Do not miss the sticky rice with Mangoes. In my opinion, having that after your meal would probably seem like a necessity rather than indulgence. Chao Phraya Cruise – Not all of the delightful food experiences in Bangkok are of the street food variety; actually, far from that. A birthday surprise from the husband took us to the Apsara cruise on the Chao Phraya River. 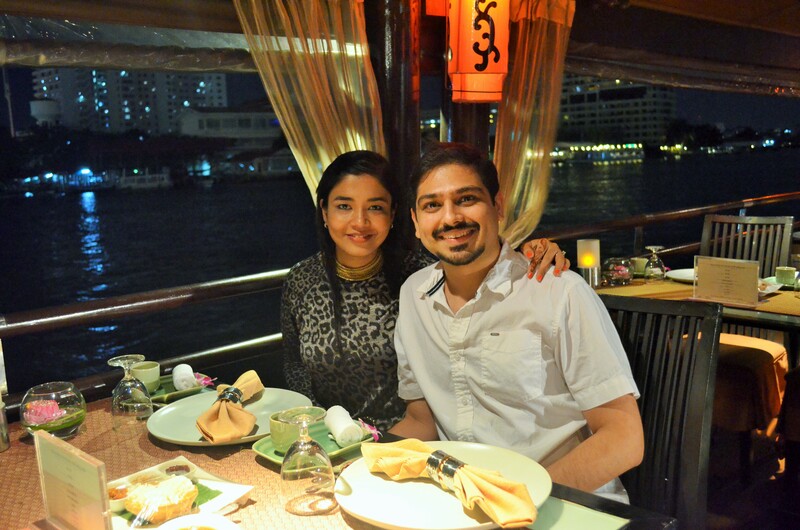 It was a five-course meal served with a side of gentle yet mindful hospitality and amazing Bangkok city views as we glided over the Chao Phraya river, the river that has its existence intertwined with that of Bangkok itself. The second course was a Tom Yum Goong soup, the heat so menacing that even from the first spoon that I swore not to dip back into again. In five minutes, I found myself staring at the bottom of my bowl. It was a mad play of salty, sour, bitter, fragrant, sweet and very hot. I saw the husband wiping away his eyes and nose every few seconds, but the satiated smile on his face let me know, everything was okay. Other courses were spectacular with the papaya salad, snapper and various authentic curries doing rounds in our happy mouths. This ferried dining experience is highly recommended, when in Bangkok! 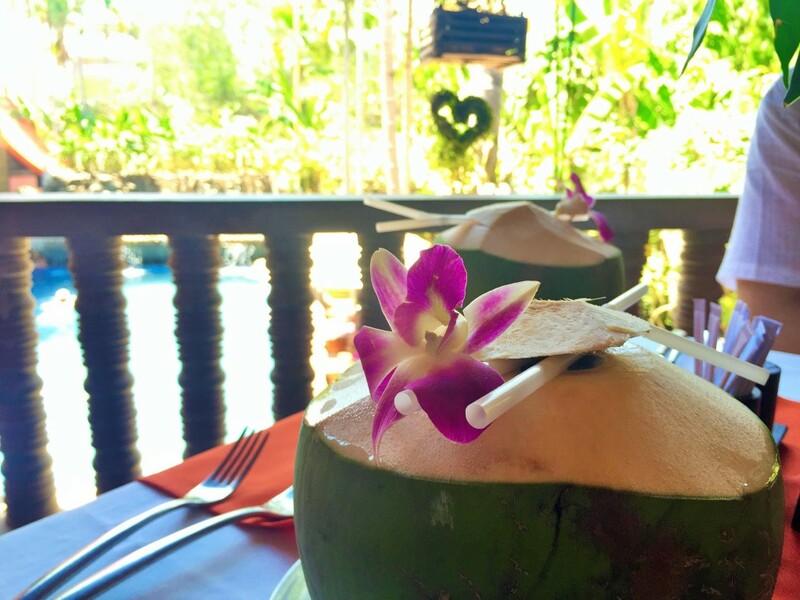 Everything that’s Coconut – It would be criminal to visit Bangkok and not partake in the party theme of which is Coconut. 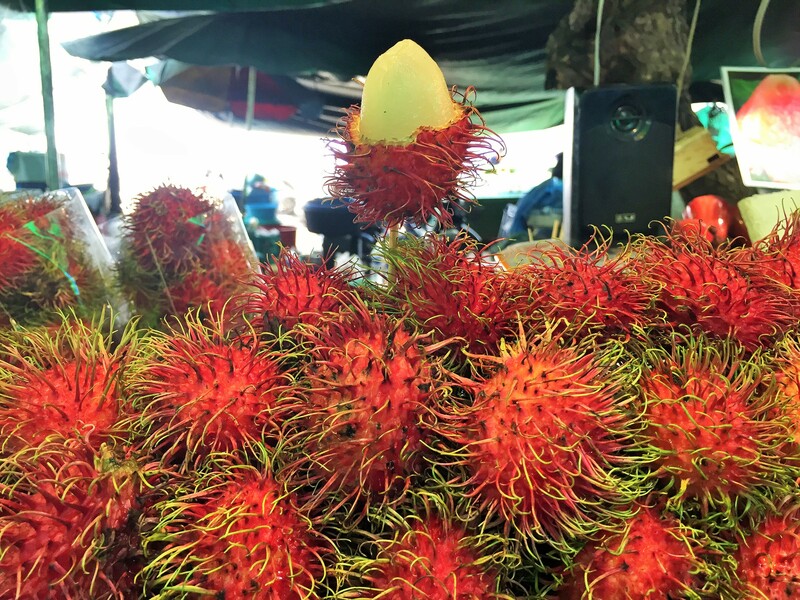 Everywhere you go (literally from street vendors to Michelin star restaurants), you will come face to face to with incredible eatables from this divine fruit. We got our Coconut fix almost everywhere, from the Banyan tree restaurant to the vendor outside the Wat Pho. 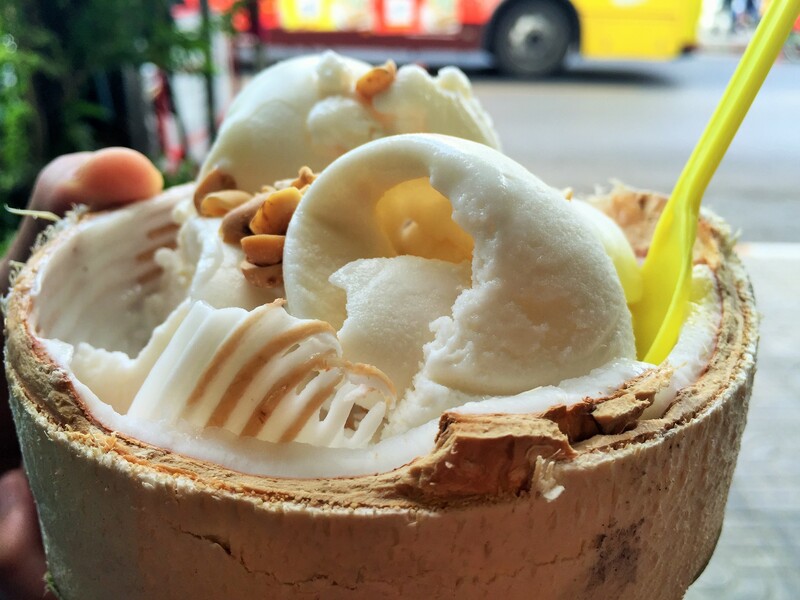 From the chilled sweet coconut juices to flavour-intense coconut ice creams, Bangkok showed us it’s Coconut A-game!! Meals in the Skies – As the city switches on its “bling” every evening, rise up to one of the many rooftop restaurants/bars to witness the sparkle below. 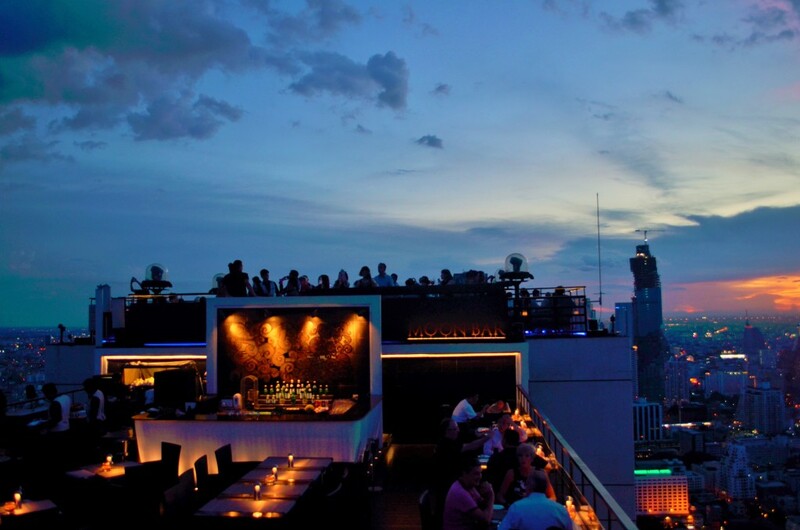 We sampled food and views from two (Octave Rooftop Bar, Marriott and Vertigo and Moon Bar, Banyan Tree) of the many rooftop bars/restaurants that Bangkok has to offer and we were not disappointed. Not with the food, not with the views. With a sprawling 360 degree view of the city, dinner would feel a little bit more extravagant and your cocktail will give you just the extra “high” you needed! Bangkok is a city where the modern holds hands with the traditional and that creates a culinary experience that is unique and memorable. Go sweat out your pores in the spicy Khlong Tom Yam and find relief in the creamy intense coconut ice cream; experience food floating on the Chao Phraya River and then some from the dizzying heights of a skyscraper. You will not be let down!